Arriving at the new spot on Bedford Street, just 5 mins for Charing Cross station, you’re greeted by a dapper young gentleman from a previous time. He takes your booking information, drops a ball into the mechanism and tells you to follow it down, as it winds around the golden globe, and down a metal track downstairs. I almost forgot I’m right on outskirts of one of the busiest tourist spots in London as I make my way down, stepping back in time. 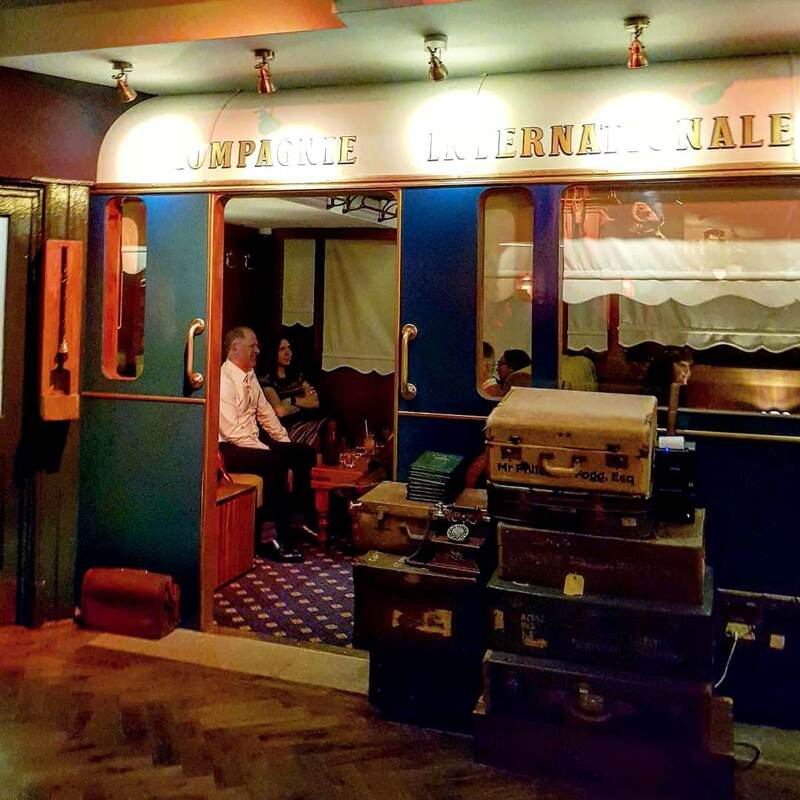 …with extravagant fabrics, a train carriage and old school suitcases and trunks, beautiful dark woods, and a magnificent bar. 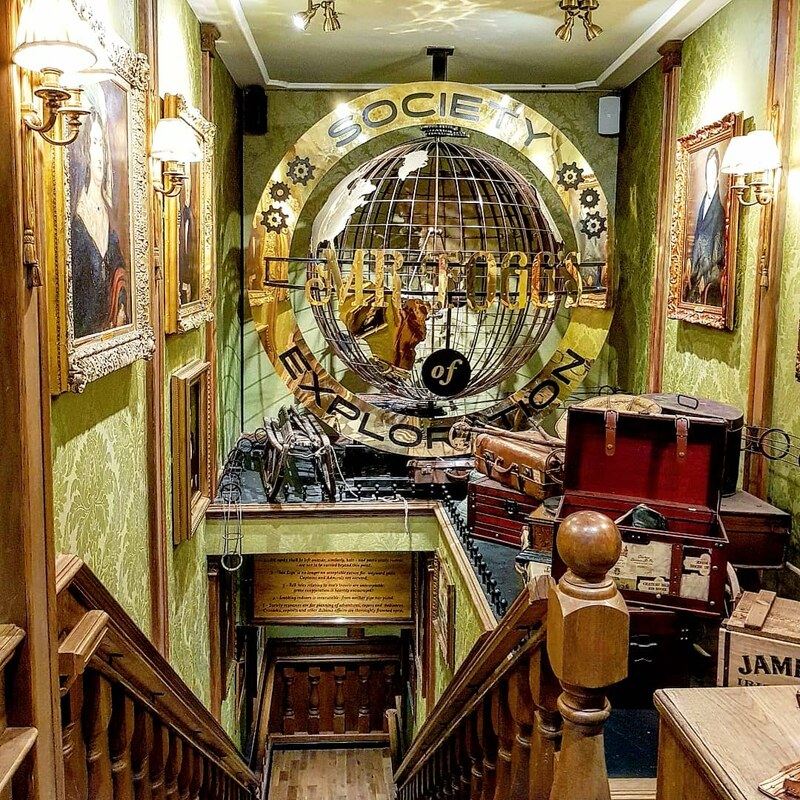 It really brought life to the name – ‘Society of Exploration’. 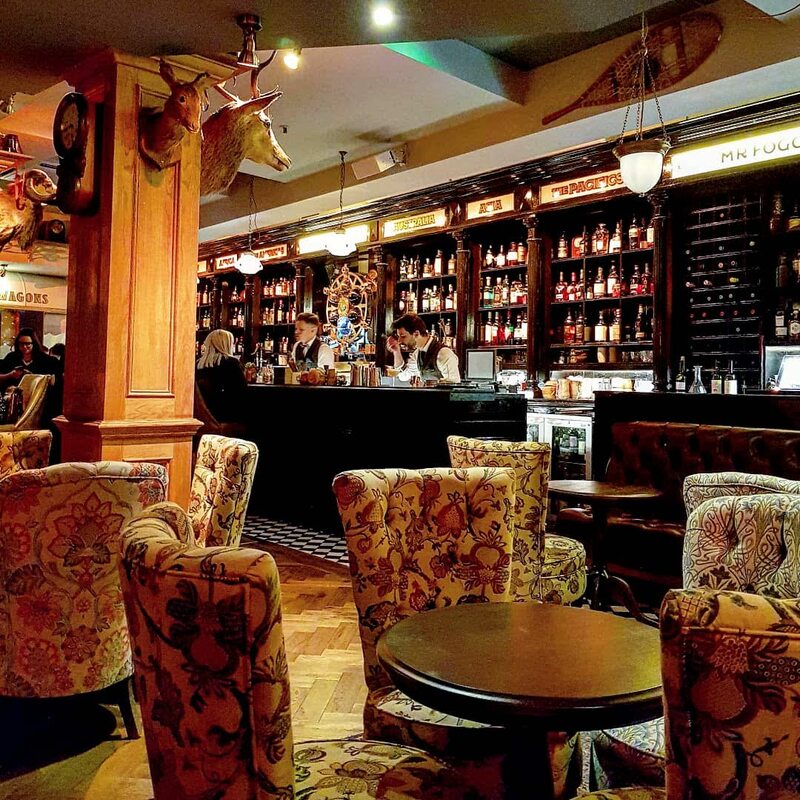 It felt like a secret members and wasn’t overly busy, although they were full for the evening..that’s the fab thing about Mr. Foggs, everyone has a table so it’s never too cramped. Service is at the table, so you barely have to move. And you’re delivered water and nibbles to keep you going too. Or to keep you drinking. But there’s nothing wrong with that obviously. 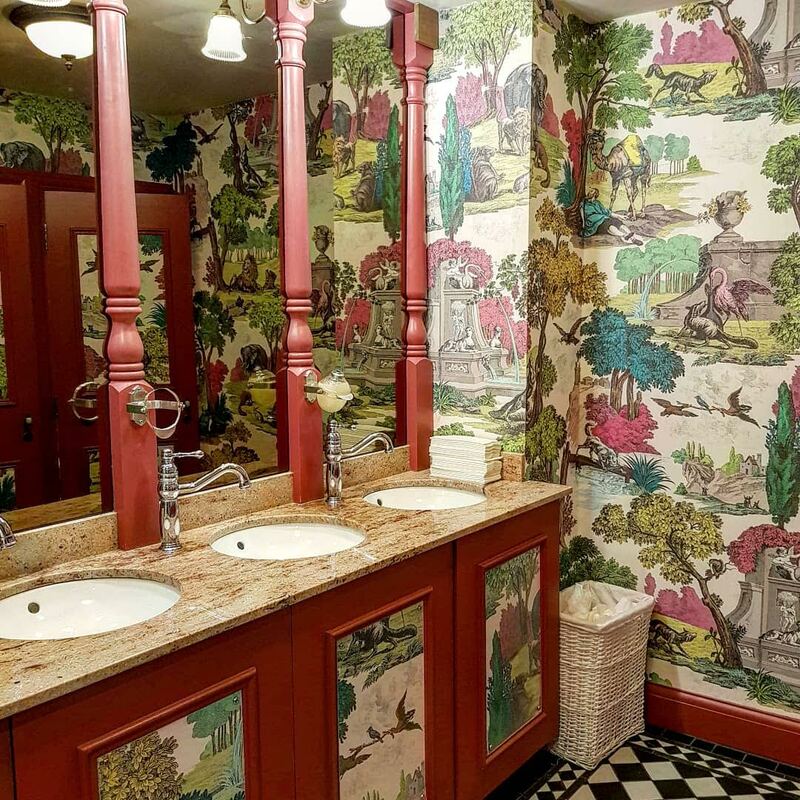 Even the toilets are fantastic! The menu is like a travel journal. 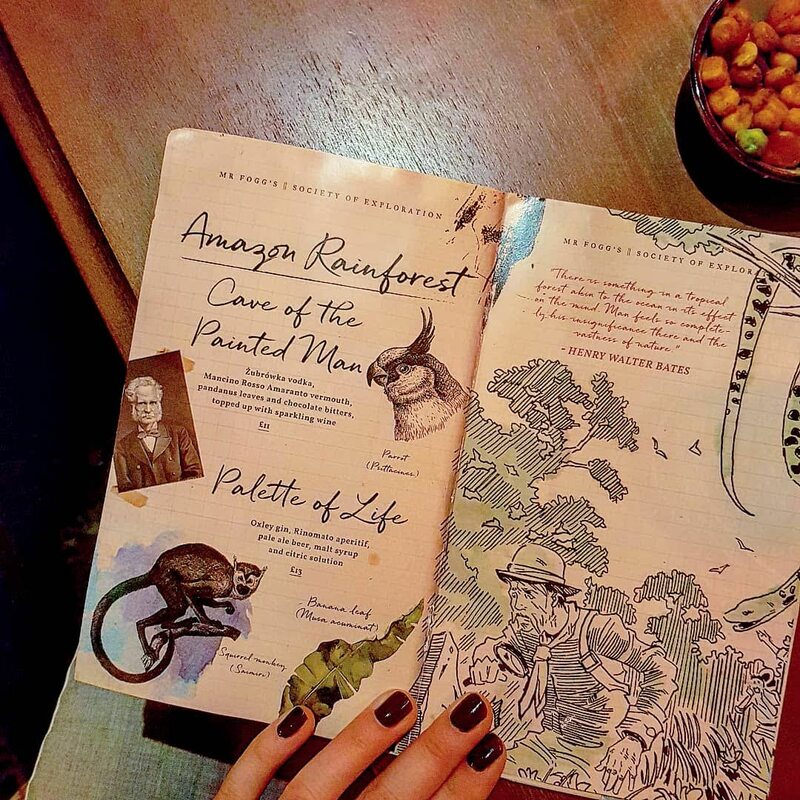 It’s beautifully illustrated, each cocktail given a name related to travels in a certain area. Each one creative, unique and mysterious. I didn’t know all of the ingredients, and we did take a leap of faith on a couple of our choices. But the beauty is, we knew they’d be good. But there were so many we were intrigued by. The Cave of the Painted Man, my choice, was a mix of Zubrowka vodka, mancino rosso amaranto vermouth, pandanus leaves and chocolate bitters, topped up with sparkling wine. It was light, refreshing with a bitter edge. Arriving in a heavier chalice type cup, it had a melted white chocolate rim, which complimented the slightly bitter taste well. 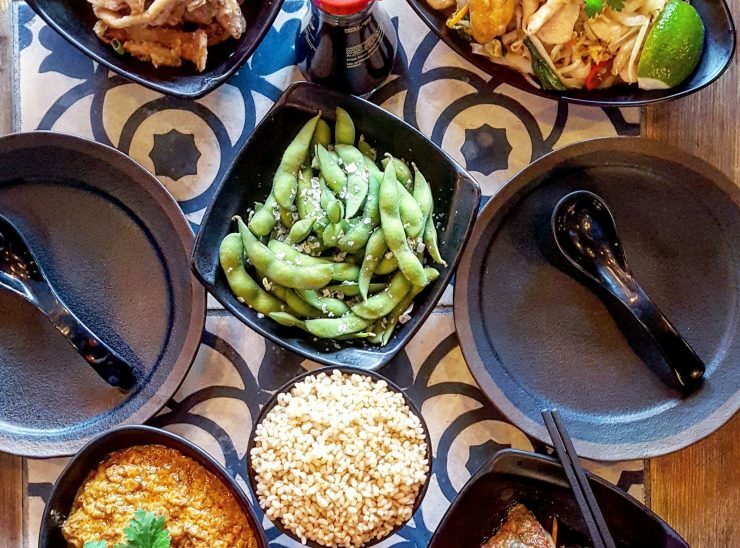 A fantastic mix of flavours. 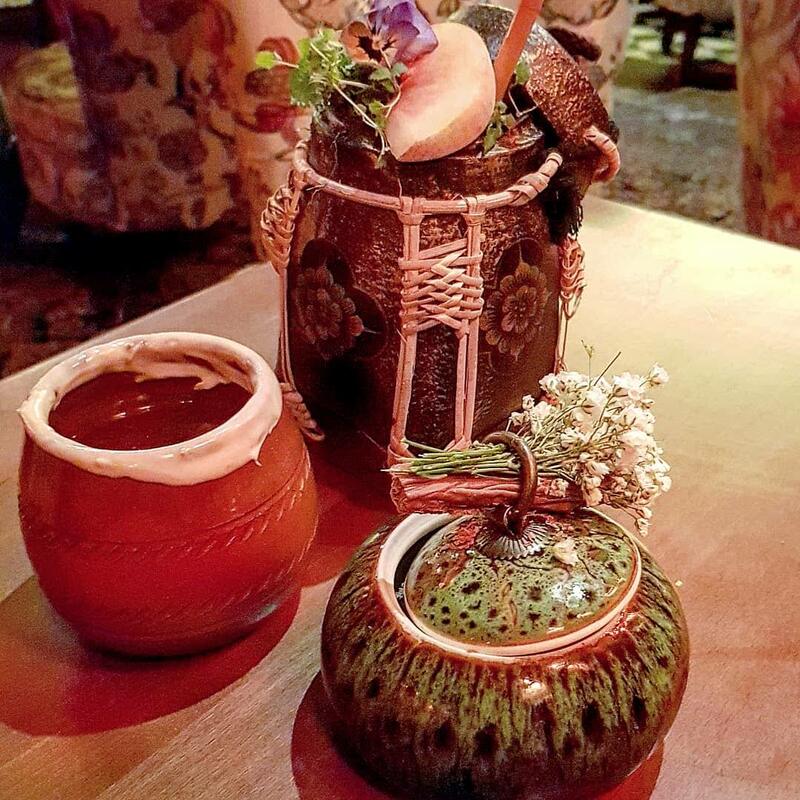 The Rapa Nui arrived in a short crockery pot, topped with edible flowers. Bacardi Cuatro Añejo rum, Grand Marnier orange liqueur,fresh grapefruit, banana and lemon thyme, it was deliciously sweet and tropical. Another absolutely delicious cocktail! We were treated to a round of ‘shots’ too – for agreeing to move to allow for a larger party, which was no hassle in such a relaxed, chilled bar. Now I say shot, but I’ve never had something quite like this. It was very sweet, a little artificial in flavour, not overly alcoholic, but still delicious. It arrived too in a melted white chocolate rimmed glass. Something I now want most of my drinks in. Overall, a very sophisticated, relaxed evening with the girls. One I’m definitely in a rush to do again soon. Price: Between £10 and £14 for cocktails. It’s pretty standard for a London cocktail spot, and well worth it for the experience. Food: We only had the free nibbles when we went (a fab accompaniment to drinks), but the small bar menu does look great. Definitely need to go back to try some of the snacks! Drinks: Exciting, creative and delicious cocktails. They don’t just look great! Atmosphere: Secret, mysterious members club. Relaxed. Not too busy. Service: Attentive, friendly and helpful. 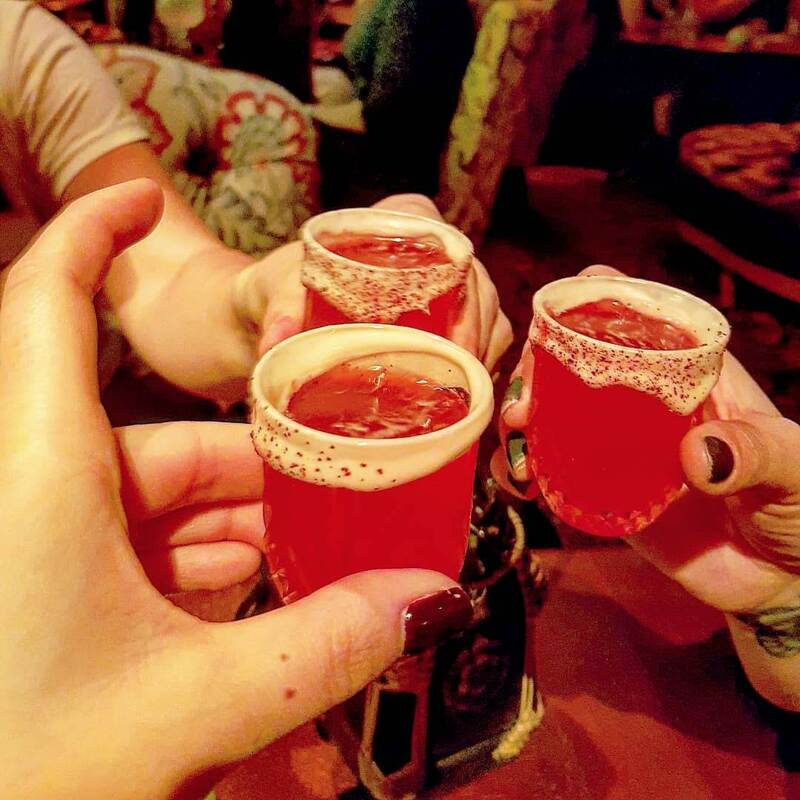 Have you tried any of the Mr. Foggs locations? Where’s your fave cocktail spot right now?